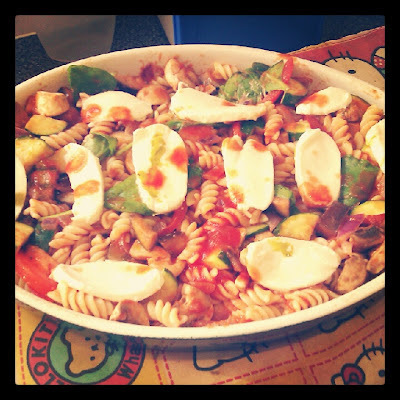 A quick, cheap and yummy veggie pasta bake! I made one of my favourite meals the other day for my family and I thought I would share it with you. It's so tasty, has lots of vegetables in, so will definitely count as one of your 5 a day and luckily is not too expensive to make! To start prepare all of your vegetables as this will save you loads of time during the process and will help you feel more organised, another tip is just before you start cooking turn on your hob and boil some water in the kettle, to speed up the time of cooking the pasta! Take out of the oven,serve and enjoy!